This article is about the song "Sonic Boom". For other uses, see Sonic Boom. 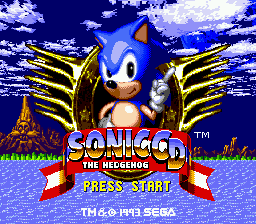 "Sonic Boom" is a track created especially for the US release of Sonic CD. It is used during the opening cutscene (in place of the original Japanese and European soundtrack's "Sonic - You Can Do Anything"). An extended version of "Sonic Boom" exists, and is incorporated in the extended version of the cutscene that was first released on the Sega Saturn compilation Sonic Jam. This extended version is also featured in the album Sega Power Cuts 1. There is also a Crush 40 version of the track found on the 20th Anniversary Sonic CD Soundtrack along with the original version by Pastiche. The original version was also included in Super Smash Bros. Brawl and Super Smash Bros. Ultimate, as one of the songs that plays in the Green Hill Zone and Windy Hill Zone stages, albeit slighty edited to loop back to the start. This page was last edited on 10 December 2018, at 13:19.